Grade Potential provides tutoring to help children at all grade levels. Whether your children are in first grade or approaching middle school, we have a math tutor ready to work with them. We provide the encouragement and support necessary to make learning fun and possible, so children are empowered and confident in schoolwork. From basic addition to more complicated division, elementary school math is an important part of a child’s education. Grade Potential helps you personalize your child’s math experience with customized one-on-one instruction that happens in the comfort of your own home. We look at your child’s specific personality and learning style and offer math tutoring catered to them. Grade Potential offers tutoring at all levels of elementary school math. 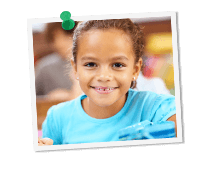 Our credentialed tutors are familiar with a wide range of math curriculum as well as learning styles, and we work with you on your schedule to accommodate your child’s needs.